Mondays are all about the fabric around here now. This is a series I hope to do weekly. It will feature a fabric crush or two. Let’s get to it. I was so excited Saturday when I opened up this happy package. To say I am a fan of Alice and Wonderland is an understatement. I have always been. I will always be. I saw the Disney film when I was a child. I read both the books and then I read them again. I quote Alice to my kids all the time. So yeah. Alice is loved around here. I could run around my house and gather up my collection of assorted lovelies, but I won’t show you quite how obsessive I can be. If you are ever feeling different or weird or mad, go read Alice in Wonderland. You will find a home there. And everything will be alright. But this post is about fabric….. This collection is by Anna Bond of Rifle Paper Company, her second collection with Cotton and Steel fabrics. Back in 2015, Anna designed the 150th commemorative edition of Alice in Wonderland by Lewis Carroll. And it’s from those 80 drawings that the Wonderland fabric collection is based on. 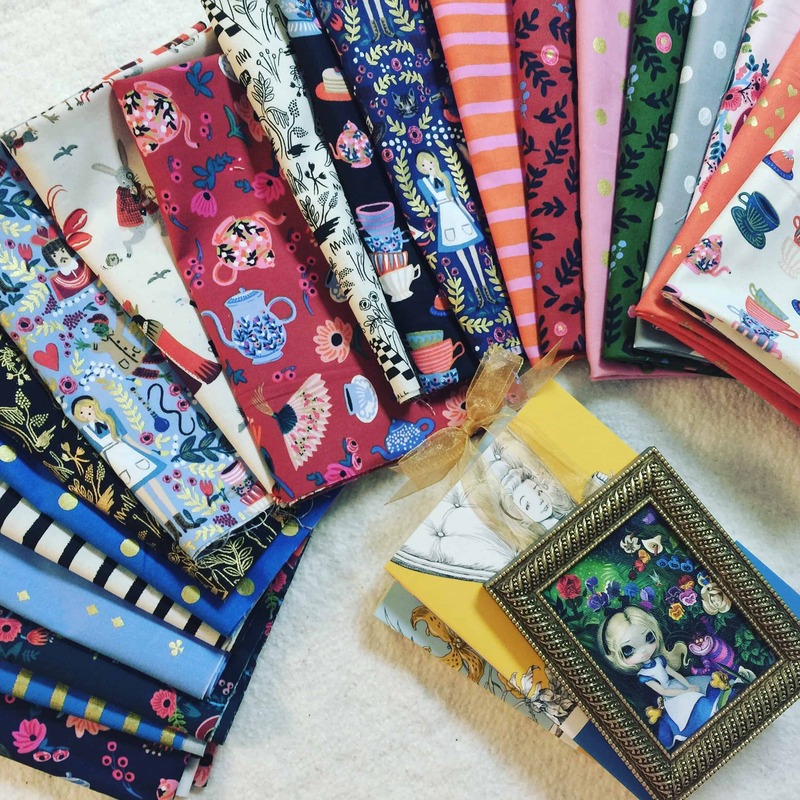 See all of the Wonderland fabrics and Rifle Paper Company’s other fabric line with Cotton and Steel here. Read more about Anna Bond here.